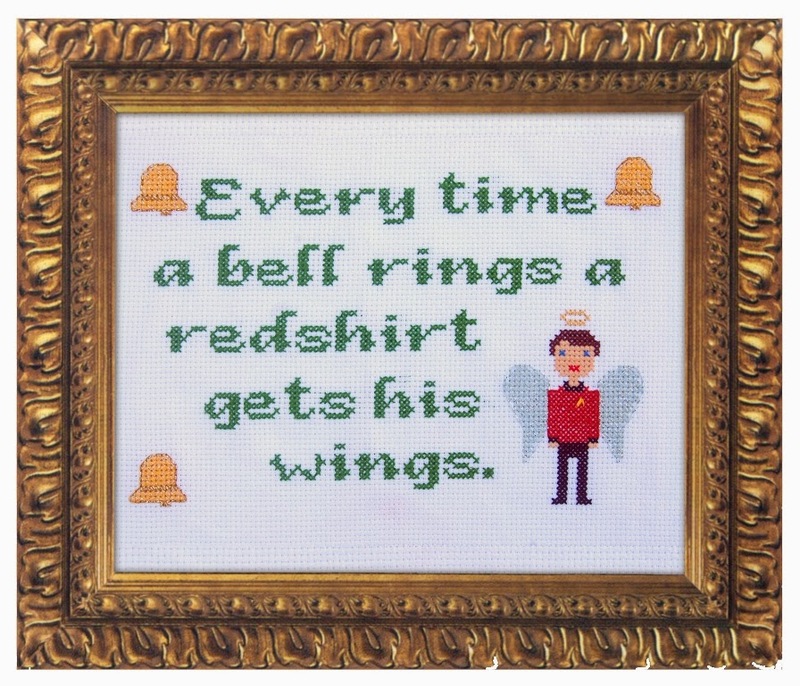 I created this Star Trek themed crossstitch as a Christmas present for my brother-in-law a few years ago. Afterwards, I wrote the chart up for an issue of the Anticraft that never happened and lost all motivation to publish it. Anyway, the holidays are here again so now seems as good of a time as any. 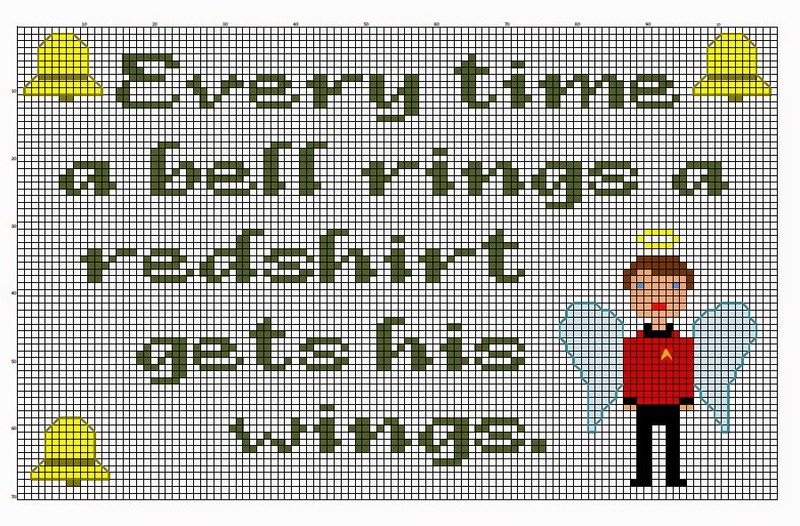 The finished crossstitch will fit into an 8x10" frame when stitched on 14ct aida. Unfortunately, I didn't keep the thread color list, but I can tell you that I added one strand of silver thread to the wings and one strand of gold thread to the bells for sparkle. Enjoy!! For the printable chart, click here.